Anxious to be a part of such a considered, forward-thinking new media source, I wrote a straight review of The Bestiary, and it is this week’s daily special. Check MPS out and start creating your own stories. Forget critics’ comparisons to the The Da Vinci Code or the plot’s seeming sci-fi/fantasy genre—Nicholas Christopher’s fifth novel may have a healthy dose of whimsy but it’s no standard adventure story. 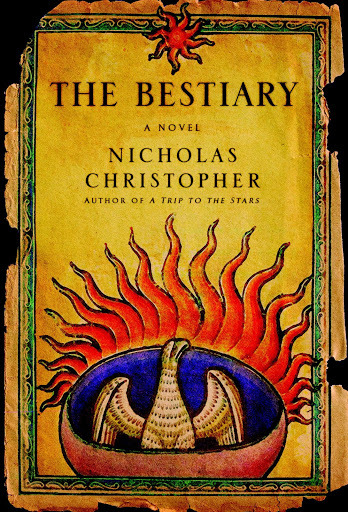 The Bestiary is instead a well-imagined, meticulously researched, lyrical tale not only of the mythical foundations of society but of one man’s inner journey to find his place in the world. It’s no wonder the prose captivates from the start, or that Xeno retreats from this painful experience into his imagination. But in high school, this childhood coping device morphs into an isolating obsession with researching real and imagined animals. Before long Xeno is consumed with finding the elusive and rumored destroyed Caravan Bestiary—an apocryphal book (invented by Christopher) detailing the extraordinary creatures refused passage on Noah’s Ark. But this simple design, based in small part on Christopher’s own upbringing, belies a more complex plot of cerebral, emotional and spiritual discovery; for Xeno is not merely seeking a rare book and its accompanying academic success but, like us all, searching for something lost within himself. The novel’s swift yet spotless pace spans centuries of global history and alights in places like Maine, Venice, Honolulu and Moloka‘i, but these are just intriguing backdrops for a deeper exploration of Xeno’s painful and isolated upbringing and adulthood. When, after Xeno is wounded in Viet Nam, the novel stops in Hawai`i—Christopher is a frequent visitor—he recovers his passion for the Caravan Bestiary but also connects with his enigmatic teacher and heals physical and spiritual war wounds. When in Sicily he finds clues about the book, he also discovers his heritage. And in a novel filled with beastly people as well as animals, it is above all humans—particularly three-dimensional characters like his best friend Bruno and secret love Lena, who grow up believably as the novel unfolds—and their actions that define the arc and meaning of his journey.